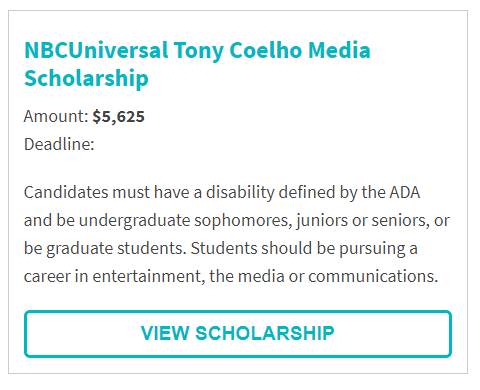 The good news is that there is an expansive array of scholarships for people with disabilities. Likewise, many universities offer financial aid opportunities as they actively recruit disabled students. There are also private organizations with money to give, and you may even find disability-oriented scholarships locally. The trick is knowing where to look and how to apply. 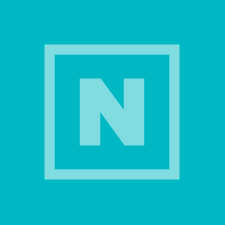 There is an abundance of scholarship info available online. This is a bit of a blessing and a curse, really, because finding what you need can be a needle-in-a-haystack situation. Spending too much time searching and not enough time finding can be discouraging. That’s why you should check out our Scholarships for Students with Disabilities search engine. The tool is easy to use. 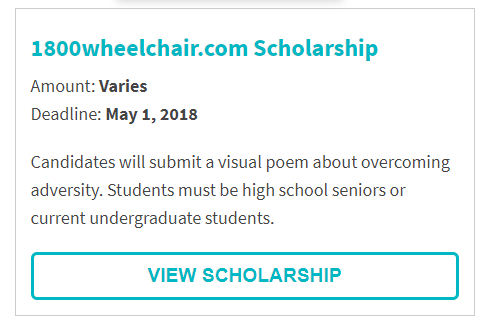 You can learn about resources, scholarships for people with disabilities, or search for all scholarships. The tab on the right, All Scholarships, will show you everything all at once, of course. That's fine if you have the time to scroll for a while — there’s a lot there! 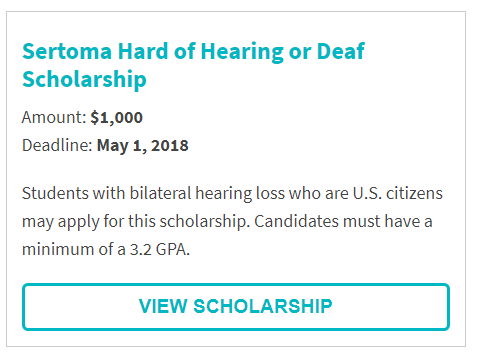 Or, why not get right to your targeted search by clicking on Disability Scholarships? You’ll see drop-down options for Disability and Award Amount. 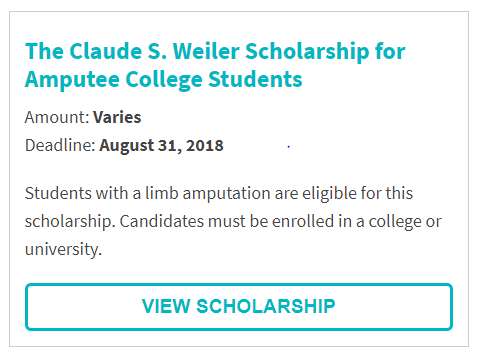 Selecting a header will reveal boxes of individual scholarships. Click on View Scholarship for details and due dates. 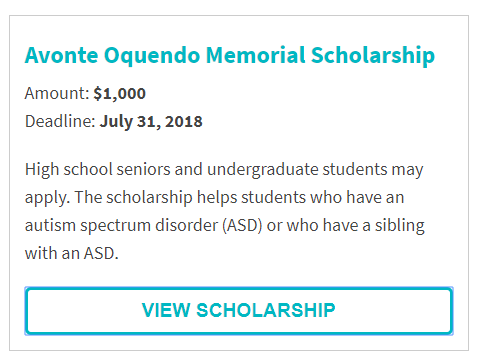 The pull-down for Learning & Cognitive Disabilities includes numerous scholarships for students with autism, dyslexia, traumatic brain injuries, and other conditions. 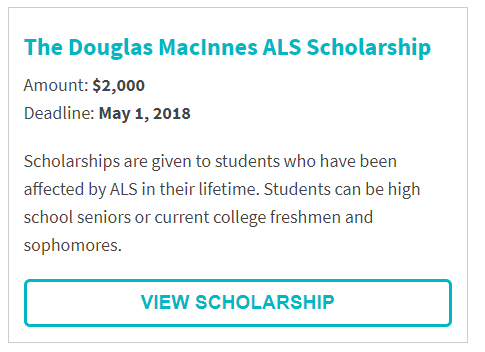 The Physical Disabilities tab also casts a wide net: scholarships for former athletes who’ve had a life-changing illness or accident, burn survivors, people with muscular dystrophy, epilepsy, and more. 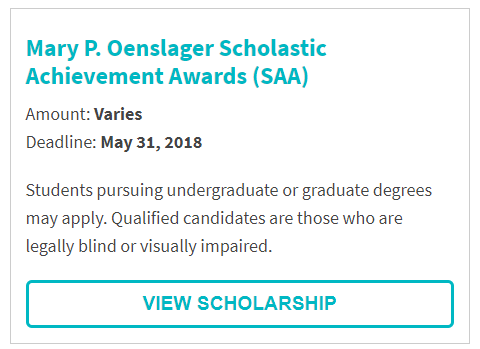 The Visual Impairments tab also features a variety of scholarships that reflect different needs and interests. The final drop down selection, Chronic Illnesses, encompasses conditions ranging from sickle cell anemia to narcolepsy. The scholarships we've presented here are just a small sample of what's available. 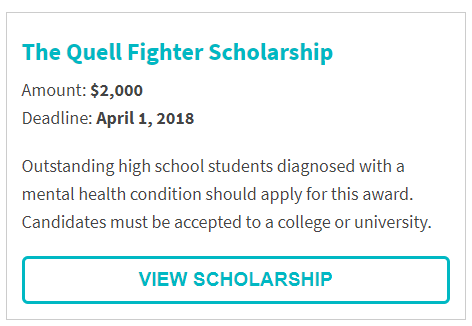 Sure, some scholarship requirements are super-specific. For example, the R.L. 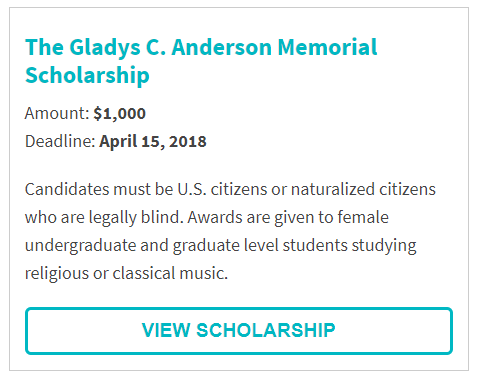 Gillette Scholarship is intended for legally blind women pursuing a four-year undergrad literature or music degree. Now, that may not be you or someone you know, but it does reinforce that there a lot of scholarships out there. Whatever a person's situation, it's worth a look. Your search begins here. Good luck!